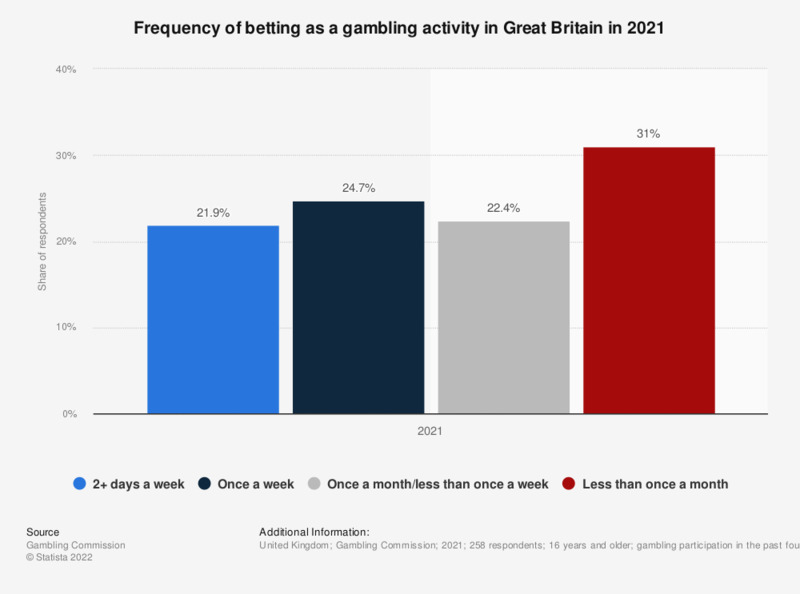 This survey shows the frequency of betting as a gambling activity in the United Kingdom (UK) from 2016 to 2018. In the period of March 2017 to March 2018, it was found that 18 percent of respondents participated in betting activities two or more days a week, whereas 31 percent did so once a week. Source notes betting implies on horse races, on dog races, sports betting or betting on other events.